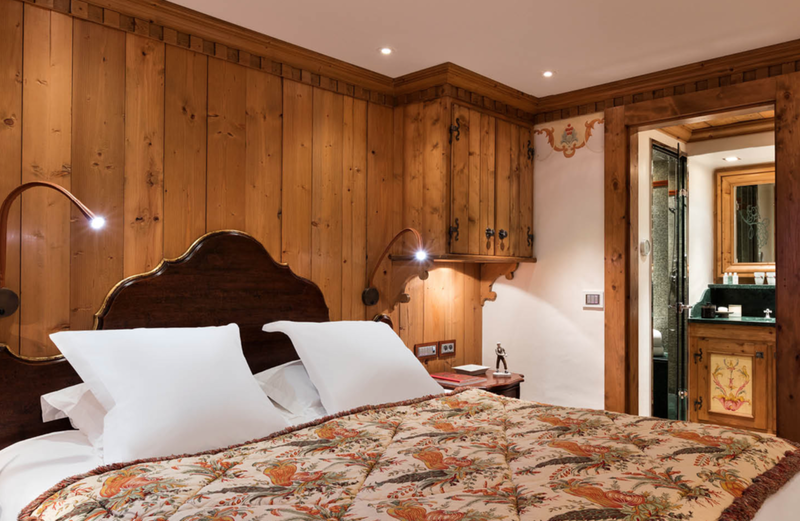 A Historic Palace and a magnificent Hotel nestled at the heart of the superlative Savoyard resort town of Courchevel, Les Airelles Palace promises and delivers the very best in hospitality for an unforgettable stay in a luxurious and comfortable haven. 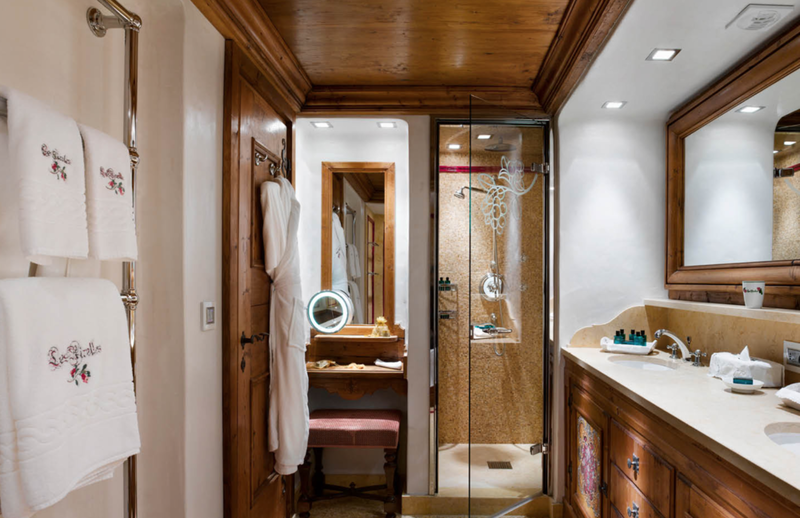 Built in the prestigious Jardin Alpin domain and on the edge of the 1850 Courchevel ski slopes, lavishly decorated and appointed, yet warm and relaxing, the Palace greatly resembles a 19th century Austro-Hungarian castle and every detail is a harmonious blend of intimacy and authenticity. The magnificent combination of warm colours, elegant materials, sophisticated decor, coffered ceilings, dream-like murals and stained glass windows all contribute to make the luxury hotel a timeless cocoon, a winter abode that evokes a sense of a home away from home. This enchanting Property with a unique architecture welcomes you to its exquisite 37 bedrooms, 13 suites and a private 550m2 apartment. A spacious Spa fashioned in partnership with the prestigious skincare and cosmetic brand La Mer, guarantees time to unwind and relax in a unique atmosphere. Les Airelles also offers a cosy friendly bar and three restaurants, including “Pierre Gagnaire for Les Airelles,” a restaurant with two Michelin stars, which welcomes you to its sumptuous setting, fit for elite guests like Sissi, the legendary Empress of Austria. Three distinct restaurants, including one with Pierre Gagnaire's magical imprint, present a delectable journey of gourmet discoveries. Le Coin Savoyard - a genuine Carnotzet where traditional regional Savoie specialties are served using the finest produces of the region. La Table du Jardin Alpin - enjoy a lavish buffet for breakfast and lunch on a magnificent terrace and discover the pleasure of a traditional bourgeois.